HomeBlogNewsDAV WI Transportation: Need a Ride? DAV and VA started the DAV Transportation Network in 1987. The Network is administered by DAV Hospital Service Coordinators (HSC) located at 172 VA Medical Centers throughout the country. In Wisconsin, DAV has a HSC at the VA Medical Centers and Clinics in Milwaukee, Madison, Green Bay, Superior and Tomah. 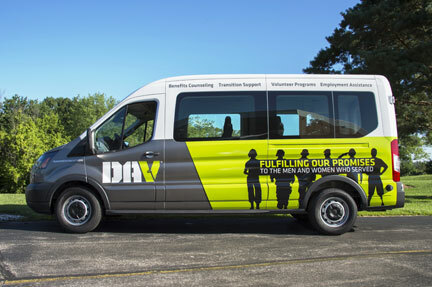 Since inception with the help of DAV Chapters, numerous public and corporate donations, DAV has donated over 2,700 vans to VA facilities nationwide. These vans have transported well over 15 million veterans to their VA medical appointments. Each year Wisconsin DAV gives 40,000 free rides to veterans to VA Medical Centers for medical treatment. DAV Van drivers are all volunteers – some drivers are veterans, but many are not, just concerned citizens – they are all patriotic. Click here to become a Volunteer Driver. The Wisconsin DAV Transportation Network is sustained by contributions such as yours. We fill a void left by a lack of government funding. Given government budget cut-backs over the past several years the need is greater than ever. Help veterans get to their VA medical appointments with a donation.